Adorable Elephant Cupcake Toppers for your unforgettable Baby Shower Party! 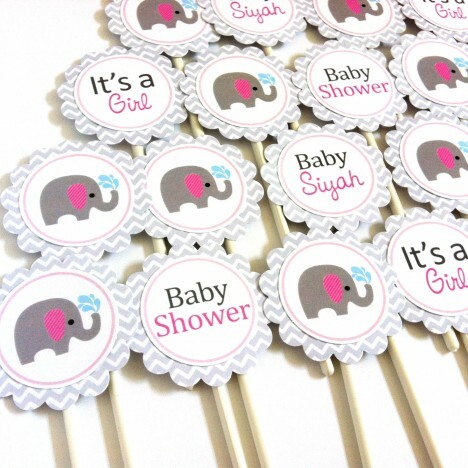 These pink and grey elephant cupcake toppers are for Baby Girl arrival celebration. 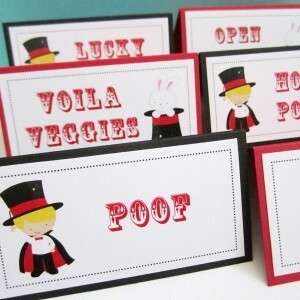 They are smartly designed to add perfection to your smashing party! The chevron pattern is delectable! 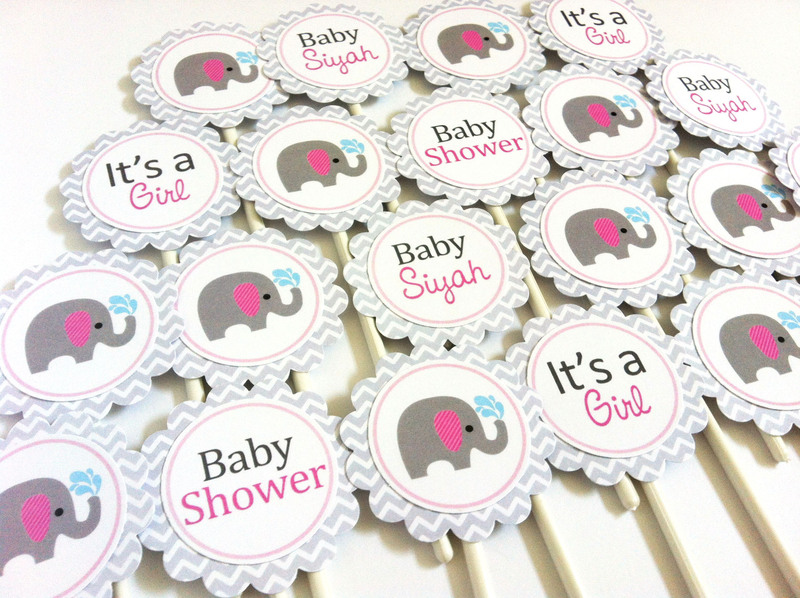 You will receive a set of 12 (twelve) Elephant Cupcake Toppers in pink and grey that includes your baby’s name. Why getting generic ones when you can get them customized for your party. 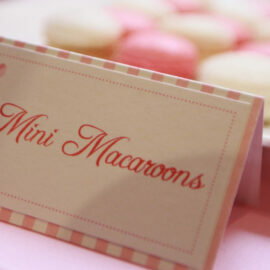 Personalization makes your event extra special! 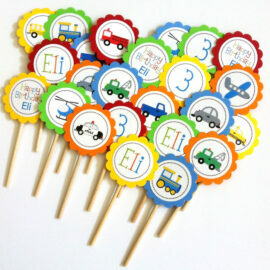 Each topper is 2 inch in diameter, adhered to a wooden dowel or lollipop stick depending on availability. 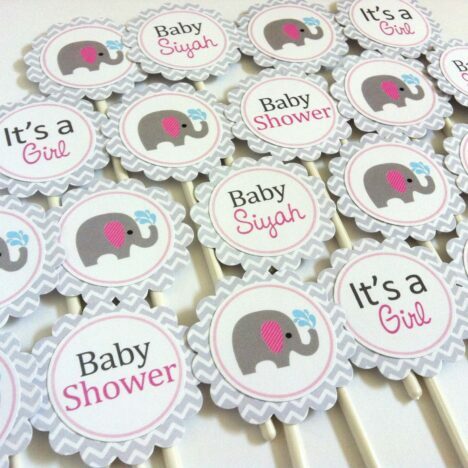 Please inquire should you like these elephant cupcake toppers for a birthday party. We certainly can make those for you. 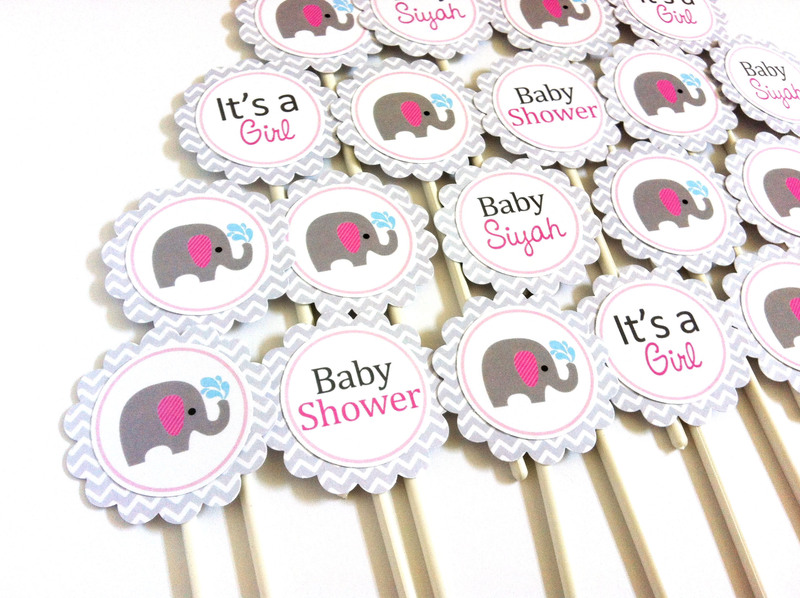 Are you looking for party decorations to compliment these Elephant Cupcake Toppers? 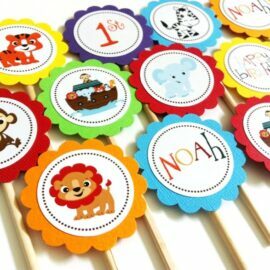 Check out some pictures shown for matching party accessories we can do for you.